She is sweet and oh boy is she naughty! She says that she is a boy because she plays like one.. climb the tree.. or slide down the railing.. you name it. When her mom asks her do you want a baby brother.. she would stop her right there and says ‘why? I am your beta (Son)’. Oh and she is just 2 yrs old! You give her few minutes and she will jump right on you. 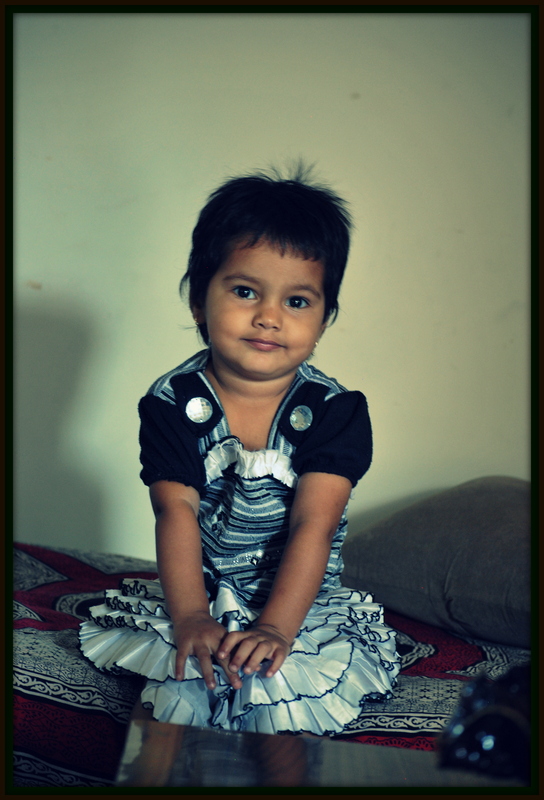 I had fun clicking pictures of her.